This past weekend, I went to an event for women interested in aviation. It was organized by a local airport and Lori from She Flies. I was surprised to see so much activity at the airport, but there was absolutely gorgeous weather, and a day like that must be experienced from the air. 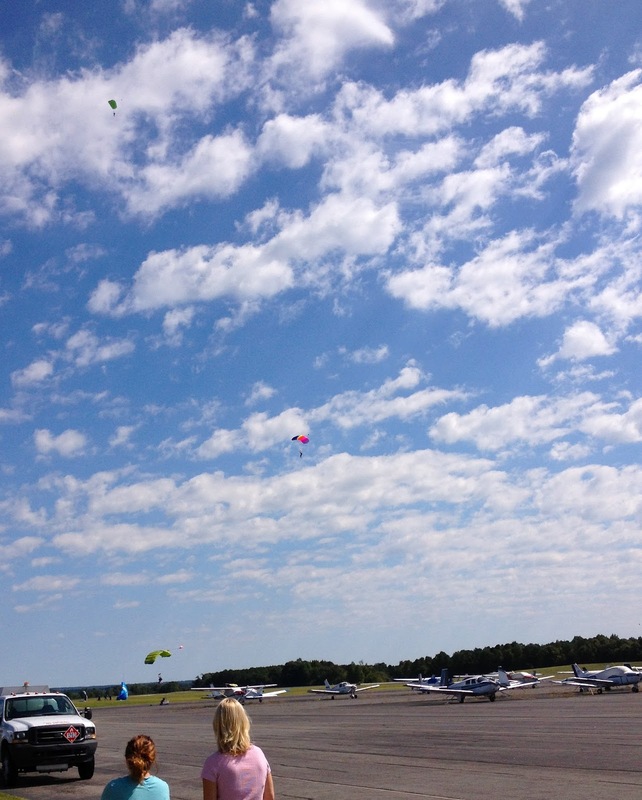 In addition to many volunteers taking women on discovery flights, there was glider and parachute activity. Hearing people talk about aviation makes me realize how fortunate I am to have grown up in and around airplanes. We have been to so many exciting places over the years, and general aviation has gotten us there. There are at least seven pilots in my family, and that's only the ones I think of right away. We LOVE flying in my family (well, most of us do). I sat in the back while other women sat up front, since I have had plenty of chances to sit in the front of a plane outside of that day. I was happy to see they were headed in the right direction. I don't quite understand why people jump out of perfectly good airplanes. As much as I like being in the air, it's still comforting being back on the ground. Especially when a stranger is at the controls! 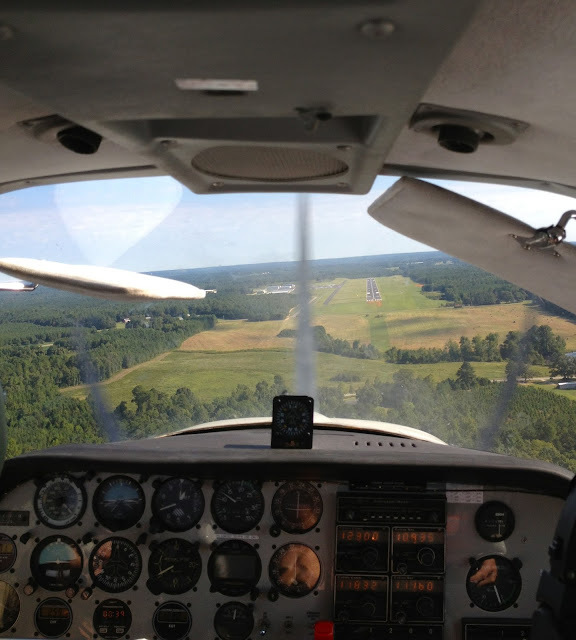 Have you ever flown in a small airplane?